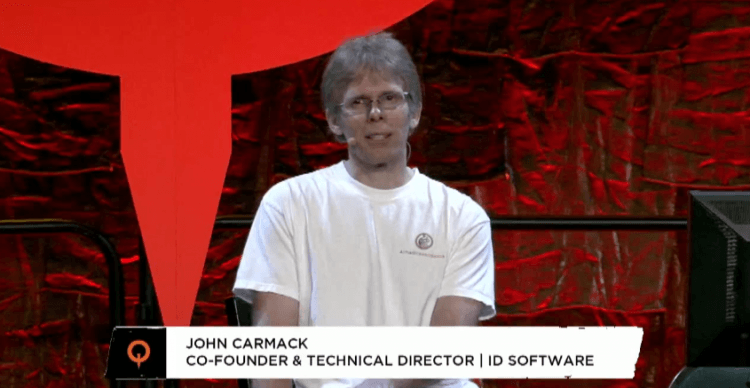 Id software's John Carmack is one of the industry's most well respected developers, and has been so for many years. At his annual Quakecon keynote address this year, the legendary developer didn't shy away from expressing his opinions on Microsoft and Sony's next generation console offerings. He couldn't officially give either console a definitive edge over the either, stating that he hasn't run quite enough tests on the hardware but that they are both "very close" and "very good." The id Software technical director said that at this point he feels the two boxes bring essentially the same capabilities to developers. While he reiterated his current preference for the Xbox 360, he also talked about how he feels Sony has implemented a lot of positive changes to its back end over the last few years and made "large strides" in terms of creating a much more developer friendly platform. Carmack was fairly quick to dismiss controversy with Xbox One's DRM policy reversal and always-on Kinect, saying both will more than likely be short-lived concerns. Citing the unnecessary fear over early GPS implementation in cell phones and the inevitability of all-digital distribution, Carmack said these are part of a natural evolution in gaming and will be good for us in the end. Although Carmack is generally optimistic about always-on functionality, he's still "not really sold on" Kinect as a whole. Carmack said in his keynote address that he thinks Kinect still has some serious fundamental issues pertaining to latency and frame rate limitations. He continued by saying that it's "fundamentally a poor interaction," he likens to Apple's early one button-mouse design. "Anybody working with a mouse really wants more buttons…Kinect is sort of like a zero button mouse with a lot of latency on it," he added.